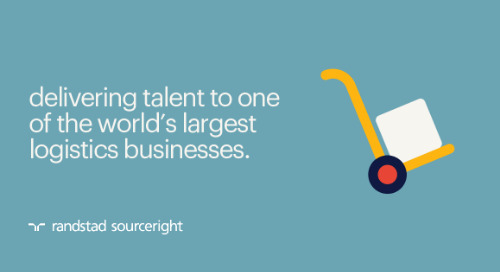 Home » Randstad Sourceright Insights » case study: global talent strategy delivers a business advantage. 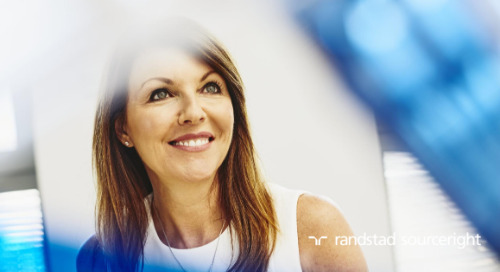 Randstad Sourceright delivers recruitment process outsourcing (RPO) and managed services programs (MSP) services to the life sciences client across all global regions. The unified program provides outsourced recruiting services in 28 countries around the world. Implementation of a global program structure, including global key performance indicators (KPIs), provides a holistic view of talent needs and practices, with a future strategic roadmap focused on an integrated talent model. 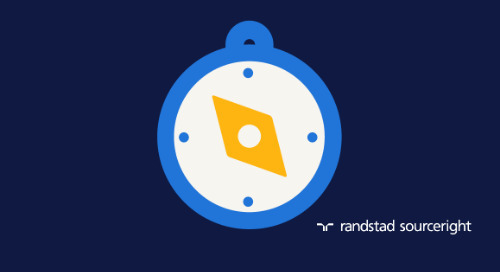 Randstad Sourceright continues to drive process enhancement and innovation. This includes value-added services, such as digitization of new talent engagement, centralized interview scheduling and onboarding. In 2014, a global life sciences leader with 40,000 employees worldwide, looked to transform its global talent acquisition function. The company hoped to blend internal recruitment excellence with outsourced recruiting services that focus on select grades of employees. 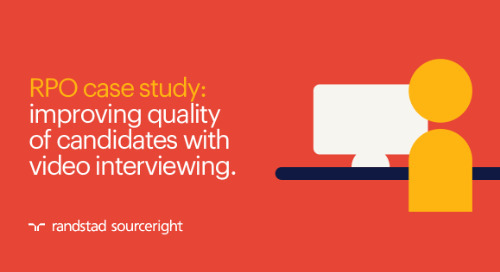 Competing in many skills-scarce industries, company leaders recognized the need for efficient and cost-effective processes to source and hire high-volume positions. 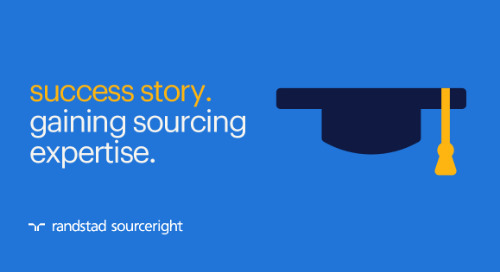 This would allow the organization to devote its internal sourcing competencies to win senior, specialized talent. 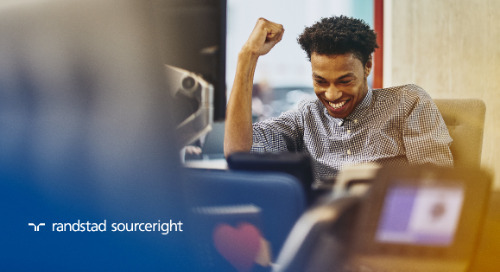 As part of this talent transformation effort, the company’s talent leaders also wanted to use core recruitment competencies to nurture internal workforce developments. At the same time, the company sought to better manage its contingent workforce, with an understanding of this segment’s growing importance. The program needed to the management of contractors and freelancers in the company’s home region of Europe. 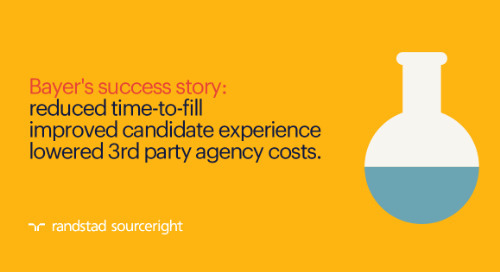 With disparate processes across various countries and regions, the client’s talent leaders wanted a consistent process for how it acquires contingent talent — much in the way it moved on permanent talent. 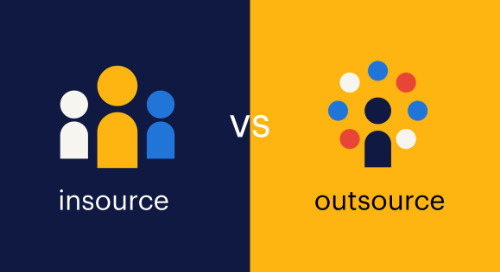 The life sciences leader previously turned to various outsourced solutions across a number of markets, but ownership of each was given to the talent leaders of each country. 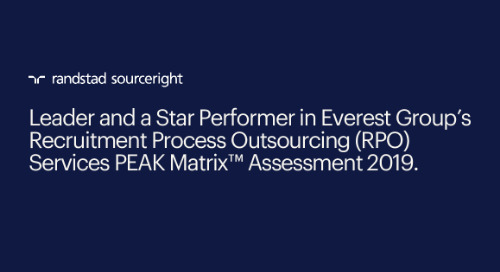 Even though its MSP and RPO talent models enhanced process efficiencies, cost effectiveness and spend transparency, the company needed more global consistency and centralized governance. 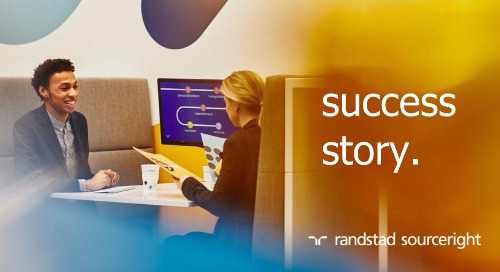 Having successfully partnered with Randstad Sourceright in many markets in the past, the company expanded its relationship and embraced a global RPO. The global talent model delivers a consistent experience and pricing structure to all business units. 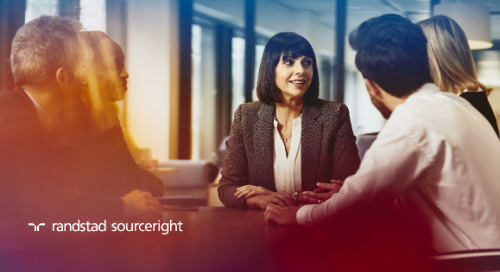 This accompanied the roll out in France — its first MSP with Randstad Sourceright and a relationship that has also expanded to additional regions around the world. 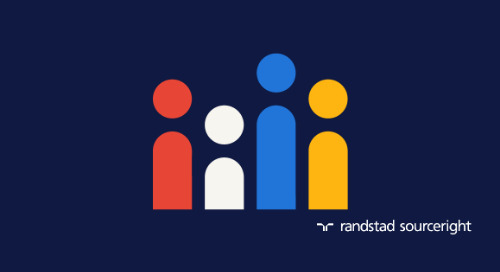 To support permanent hiring, Randstad Sourceright provides both on-site recruiters and support services from regional service delivery centers. 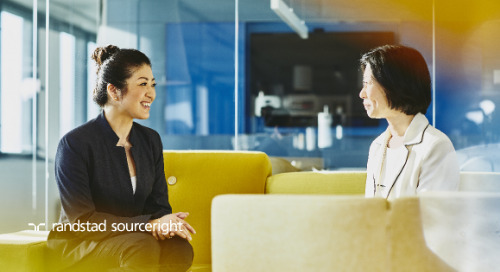 This two-pronged approach ensures talent acquisition leaders and hiring managers have access to both local advisors and global resources. The client’s new contingent talent model can be quickly scaled to the needs of the organization. 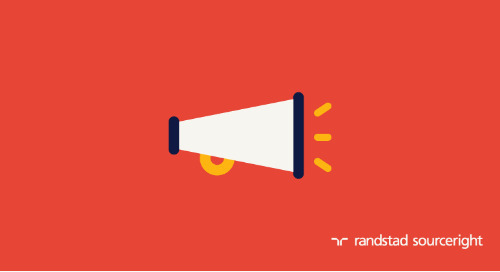 With very short notice, the customer can access additional recruitment resources through the RPO program. They can also just as easily scale back as needed. A global governance structure was developed jointly with the client. It ensures the program delivers to and accelerates the impact of the organization’s transformed recruitment function, while addressing both global and local needs. 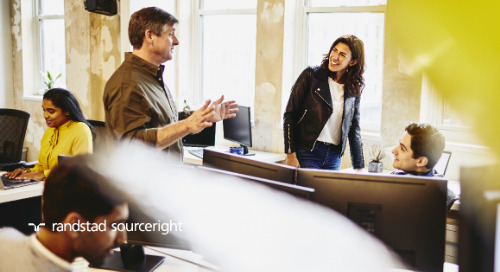 The talent solutions were further expanded a year later to support talent acquisition needs for a global acquisition project. 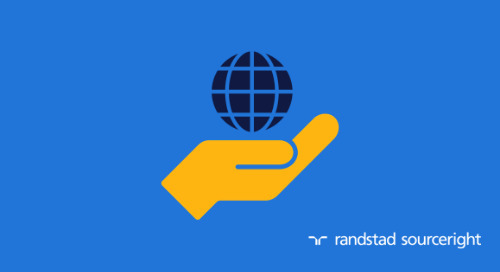 To begin its contingent workforce transformation, MSPs were implemented in select countries in Europe and North America. The goal is to drive process efficiency, cost effectiveness, spend accountability and transparency. A global contingent talent management strategy is being developed to ensure the client can optimize its use of flexible talent around the world, especially in growing markets. 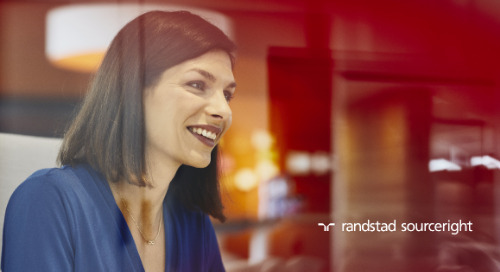 Integrated talent strategies are in place in Germany. The talent model incorporates RPO, MSP and staffing services under one program and serves as a roadmap for the entire organization. 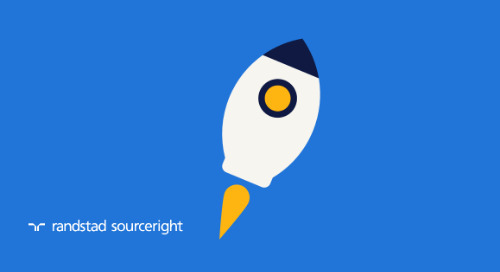 ready to reap the benefits of a global talent strategy? Check out of the final installments of our MSP and RPO series. 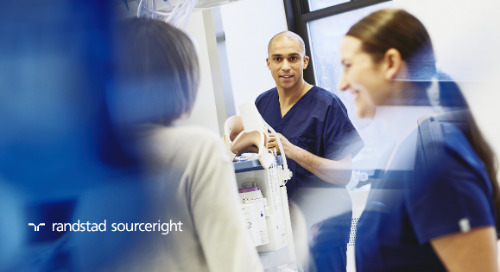 Learn how global alignment can add even greater value to an already successful program.